We will welcome you at the Terrace International by the St. Bernardin church, where we will relax and enjoy a stunning view over the sea (5 min walking distance from Histrion and Hotel Vile Park). We have organized 4 buses, leaving the congress centre after the last session. 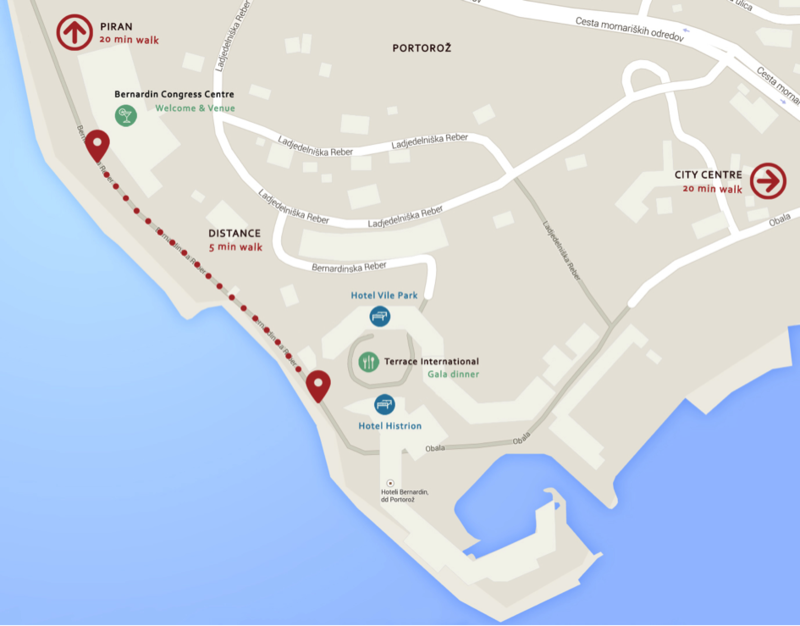 The buses will take us to the Piran Salt Pans (10 min from the hotel) and from there we will have a guided tour in the pans by foot that will take about 40 minutes. At the Piran Salt Pans you will also have an opportunity to buy some souvenirs. Comfortable shoes and a jacket if it gets windy is suggested. We will enjoy our gala dinner at the Grand Hotel Bernardin Beach Area in a company of a local band.